Trying to flirt can feel awkward, clunky, and complicated. It’s reasonable to struggle to do so in the right way, and even when you do all you can, sometimes it still doesn’t work out. It might feel like an incredibly complex labyrinth with no clear solution! But flirting, just like any other form of social interaction, is rooted in psychology – and, therefore, in science. This means that there are specific actions you can perform that guarantee a more successful attempt at flirtatious behavior. Eye contact is arguably one of the most important parts of any successful interaction, including flirting. From the beginning, this type of contact already begins to build a level of trust between you and the person you are speaking to. The act of maintaining eye contact also helps to create a sense of intimacy. 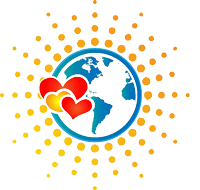 Studies have found that doing so has a positive effect on bonding experiences, and it can even create higher passionate emotions between two people. On top of that, eye contact makes you appear more confident. It sends a message that you’re sure of yourself, and let’s face it – confidence is attractive. Plus, your eyes will dilate when they see someone you like or find attractive, so they’re practically flirting on your behalf, to begin with. Of course, there’s such a thing as too much eye contact, which can be unnerving, so you have to balance it out. You may also have difficulties with anxiety or nervousness that make eye contact a little too challenging. In both cases, try starting slow! Consciously make eye contact, look away, and look back again. Repeat until you’re used to it and the motion becomes natural. You should make eye contact in bursts of between two and four seconds, not longer, and preferably not much shorter. People like to say that the reason we have two ears but only one mouth is because we are supposed to listen more than we speak. While we can’t say anything about this statement’s biological accuracy, we can certainly appreciate its more metaphorical meaning. This is a good approach to have through your whole life, but for flirting it’s just as important. One of the most important parts of flirting with someone is getting to know them, and the best way to do so is through good, meaningful discussion and conversation. And if you want that meaningful conversation, the main way to get that is by expressing real, honest interest in the other person’s words. You should be genuinely curious about what this person has to say and want to listen and know more. Don’t be afraid to ask questions, listen to and consider replies, and ask even more. This shows that you’re engaging with what the other person has to say, and they will always appreciate your interest. If it’s appropriate, share your own opinions and experiences that contribute to the discussion – but only if it’s relevant! What if the other person is boring you, or just isn’t talking about anything that interests you? Excuse yourself and move on! Flirting isn’t the equivalent of asking someone to marry you. Have fun with it and meet other people until you find someone who really catches your eye – and ear! Touch is simple, but it conveys so much meaning. It is linked with being attracted to someone and expressing a desire for the other. Surprisingly, it can also increase the other person’s heart rate, as well as your own – and that always gets the message across that something more-than-platonic is occurring! Brush against their hand when you reach over for something. Touch their arm in a friendly manner when you joke around or when they make a joke. Hug them when you meet them or when you’re leaving (or do a similar equivalent). Dance together if you’re in the right setting for that to happen. If it’s someone you already know, wrap an arm around their shoulder or rest your head against their arm. Again, if it’s someone you already know, you may try to hold or touch their hand. Encourage physical contact so the other person knows they can touch you, too! Of course, not everyone is on board with physical touch. It can make some people uncomfortable, so take note of body language. If the other person stiffens up, backs away, or just starts looking awkward in general, stop the physical contact and stick to the countless other non-physical ways you can flirt. A lot of people put a good sense of humor on their list of deal-makers. That’s why telling jokes is considered such an attractive trait! Even corny jokes can get a laugh, and there’s something just as endearing about “lame” gags as well thought-out ones. Telling jokes can be pretty hard to do if you’re very nervous. Maybe you just tend not to joke around at all naturally. This doesn’t have to apply to corny dad jokes, cheesy pick-up lines, or perfectly set-up funny tales. You can show off your sense of humor in other ways, often just by showing that you’re not afraid to have a good laugh and have a good time. Using humor when flirting works so well because it helps those around you stay relaxed while also keeping you calm. This lowers the anxiety of the person you’re talking to and boosts their positive thinking, so they’re more open to flirting with you in turn. It can even increase the speed of a relationship’s development. The easiest way to be funny and humorous is through your own personal experience. 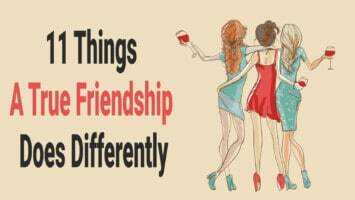 Tell silly or funny tales from your life, focusing mainly on being engaging and drawing the other person in. Don’t forget to smile, too; the person you’re talking to will often mirror you and be more inclined to loosen up and chuckle. Compliments are great. They make the other person feel good, they make you feel good for making someone else smile, and they’re endlessly charming to those on the receiving end. The trick, of course, is to choose a compliment that you genuinely mean and believe in. Don’t tell someone a lie just to get them to like you – tell real compliments! Do note that very general compliments tend not to have as much of an effect as more specific ones. Specific compliments touch someone and get their attention in better ways than others that they’ve probably heard a million times, says Tiffany Ashenfelter, a licensed professional therapist. Here are some examples. I am really impressed with how you handled that situation! It’s lovely how kind you were to that nervous waitress. I couldn’t help but overhear you talking about your love of programming. You really sound like an expert! You don’t have to put yourself under too much pressure to be unique, but if you can say something more interesting than, “You look great,” “Your hair looks pretty,” or, “I like your shirt,” that will definitely score you some bonus points. Compliments are also a great positive conversation starter or ice breaker. Walk up to someone and say something nice to them. Doing so will also clue even the more oblivious people into your intentions. Compliments are much more likely to be perceived as flirting than any other type you might be attempting to use. A lot of times, we get a little too wrapped up in attempting to flirt and look cool at the same time that we forget to have fun with it. Flirting isn’t meant to be super serious. It’s not meant to solidify your future with your one true love forever. It’s meant to convey your interest in someone in a way that makes them interested in turn. The goal of flirting shouldn’t be to score someone’s phone number, succeed in scheduling a date, or getting lucky later that night. The goal is, plain and simple, to have fun. If you focus on trying to “succeed” and get someone to give you their number, you’ll spend the whole time anxiously over-analyzing everything you do, which doesn’t come off well. Instead of thinking about how to get someone to come home with you, aim to have a good conversation. Laugh and enjoy your time. This is much more likely to catch someone’s attention than actively trying to win them over. When you flirt for fun, not “scoring” at the end of the night doesn’t make you feel like you failed. You just get to enjoy a day or night out without worrying too much about what comes next, so you’re happy no matter what happens. Besides, flirting is fun! It’s playful, it’s witty, and it can feel nice to be on the receiving end of someone’s attention. Focus on the now, not the future. It’s cliché, but the best way to flirt is by being yourself. Sometimes, people try to make themselves look better than they really are, or attempt to exaggerate facts in order to seem cooler. This isn’t a great idea, especially if you end up spending more time with this person later on. If you’re trying to get someone to like you, don’t you want them to like you for who you really are, not for the persona you’re putting on? Being inauthentic is unfair to the person you’re interacting with, and it’s especially unfair on you. Think about it – you’re a great person with positive qualities. What’s not to like? Learning to be self-confident is crucial to putting your best foot forward and flirting in a way that scientifically works. Try to be honest with the people you meet. Starting any kind of relationship – platonic or otherwise – on inauthenticity is not going to end well. Flirting, like all other forms of social interaction, takes practice to do well. 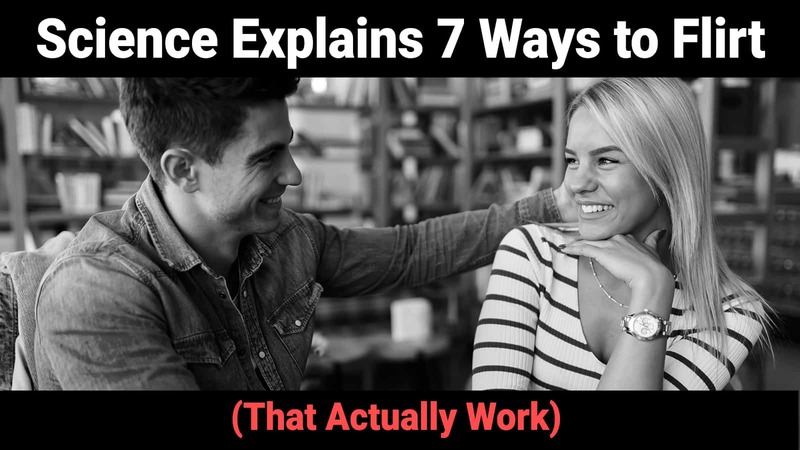 By implementing these 7 ways to flirt that actually work according to science, you’ll be able to practice in the right way. Before you know it, you’ll be a pro!